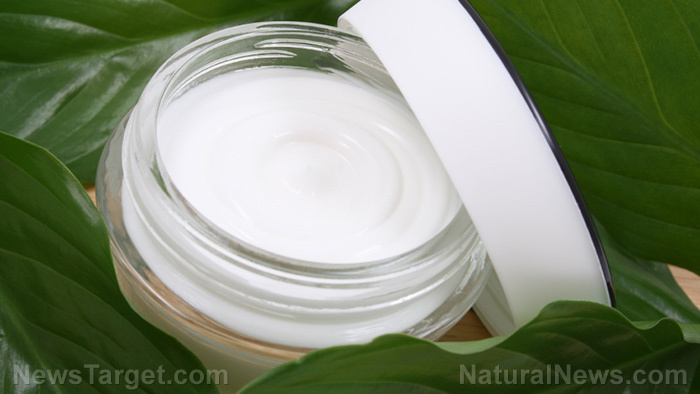 (Natural News) A British woman who dreams one day of singing in the opera has ditched a cocktail of various drugs for treatment of her fibromyalgia and has essentially ‘cured’ her disease with an all-natural cream made primarily of fatty acids. The U.K.’s Daily Mail is reporting that Liz Farrell, 40, of Ireland, suffered from the same chronic pain disorder that afflicts entertainer Lady Gaga. But she said the cream, which costs about $13, is thoroughly controlling her disease. About six years ago Farrell, a bank clerk, suddenly developed fibromyalgia, which is a musculoskeletal disorder that leads to debilitating fatigue and stiffness of muscles. The condition so affected her that she was forced to leave her job and became practically bedridden. Worse, she no longer could pursue her first love, which was singing. Doctors put her on a cocktail of medications including addictive opioids, which led to a great amount of weight gain and gave her frightening episodes of memory loss. But then Farrell managed to find her miracle drug-free cure: A cream called Celafen, with active ingredient celadrin, a combination of fatty acids that produce anti-inflammatory effects that are similar to properties in fish oil. Celafen is a natural chemical free formulation containing celadrin, menthol, vitamin E anti-oxidants and arnica. The paper said that a combination of the painkiller Cymbalta, anti-anxiety relaxant Lyrica, opiate tramadol and strong anti-inflammatory Mefac left her dazed and suffering from muscle spasms. In addition, she also experienced allergic reactions that led to tongue-swelling and massive weight gain. Finally, the pain and suffering became too much to bear, and Farrell began looking for an alternative treatment, and that’s when she found the Celafen. And the best part was, it began working immediately. “I was amazed that within a few hours of putting the cream on my knees and my neck, the pain started to ease and the swelling abated slightly,” she told the Daily Mail. “By the end of the first week, I was able to start reducing my daily intake of painkillers. Celafen is said to work by “lubricating the cell membranes and repelling inflammatory chemicals responsible for pain, stiffness and reduced mobility, according to the manufacturers,” the Daily Mail reported. In a double-blind, placebo-controlled clinical trial of Celadrin that was published in the Journal of Rheumatology, the natural treatment was found to improve joint flexibility and “significantly improve” a user’s ability to walk long distances. Even better, there were no side effects from using Celadrin, the study noted. After she began her treatment, Farrell was able to return to work and begin singing again. Recently, she was able to perform at a local opera house to raise money for charity. You know who was aware of celadrin’s healing powers way back in 2005? Our very own Mike Adams, the Health Ranger. Celadrin is a natural compound composed of esterified fatty acid carbons (EFACs) and other active synergists. It can be formulated into both pill and cream forms. Published research has shown that people taking both forms of Celadrin had significant improvement in knee range of motion and decreased knee pain, without side effects. He added that Celadrin at the time was being made in the U.S. under good manufacturing practices.